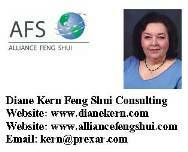 If you are interested in Feng Shui you have probably visited Feng Shui sites on the web. You might have noticed that almost all include a shop where you can buy various Feng Shui cures, remedies and enhancements. Have you ever wondered if they really work, how do you use them and should I really spend my money on these? You might also say to yourself-I don’t really care for Asian style decorations, is there something else I can use that more suits my aesthetic style? The use of certain objects is linked to the style of Feng Shui you practice. Traditional Feng Shui seldom makes use of these culturally related items but prefers to work with the manipulation of energy and elements. In Black Sect Feng Shui crystals, flutes and mirrors as well as other objects may be suggested to improve specific situations. In other styles the use of statues such as wealth gods, dragons, ki lun or even an abacus permanently fixed in a specific configuration may be used. Jewelry with certain gems or charms is sometimes offered as helpful. Candles, plants, shapes and colors also play a part in fixing and enhancing. When you Feng Shui your home or office it should not look “fengshuied”. Objects that look out of place will draw attention to themselves and create a form of imbalance that we want to avoid. The objects you use should mean something to you. If you are not Asian a three legged toad may not mean prosperity to you. Or mandarin ducks may not indicate romantic relationships. You need to understand and accept the meaning of the object in order for it to have an effect. These objects are reminders to you. When you see them, the idea they represent is reinforced for you. So use your best judgment when shopping the Feng Shui stores. Of course having these objects in your house or office can be a bit of fun too. I have collected dragons for years so I have added a Chinese dragon to my collection and placed it on the left side of my front door where tradition says it should be. Following is a short list of common cures. The 3 legged toad is thought to bring prosperity. He holds a coin in his mouth and should be placed facing inwards, not towards the door. The ki lun is displayed in pairs and is a displayed on the right side of your front door representing the tiger or female energy. Ki lun are gentler than the tiger. Dragons represent the male energy and as I mentioned are placed on the left side of the door. The pagoda is used for study enhancement and can be placed on the student’s desk or in the Southeast. The Wu Luo or calabash is how the ancient doctors carried their medicines. So obviously this represents good health. Mandarin ducks in pairs are displayed for romance as they mate for life. If you don’t care for these items find a replacement that represents the same idea. For instance, a pair of love birds or doves represents love in the US. 2009 is the year of the Ox. Some famous people born in an Ox year are Richard Burton, Princess Diana, Margaret Mead and Napoleon. The Ox is considered dependable, patient, modest and hard working. On the negative side the Ox can be stubborn, rigid and narrow minded. Each animal has both positive and negative characteristics. The Chinese New Year does not start on January first. Instead it usually starts around the fourth or fifth of February, changing slightly each year. Each year is represented by one of the animals of the Chinese zodiac. So when you look at the placements in a Chinese restaurant to find out your animal sign remember when the year begins. If you were born before the fourth or fifth on February you must take the animal of the previous year. If you were born on the day of the New Year you must know the hour of your birth to determine which animal is yours. Most people don’t know this but you do now. Ox gets along well with the Snake and Rooster. These are the people an Ox person feels the most affinity for and they will support him well. The enemy of the Ox is Sheep. When these two get together there can be misunderstandings and arguments. If opposites attract then a romantic relationship between and Ox and Sheep can be very exciting but it takes a great deal of care and understanding to maintain. This entry was posted in Feng Shui Tips and tagged crystals, dragon, elements, feng shui cures, pagoda, toads, year of the ox. Bookmark the permalink.